10.2"Dia. x 2.3"T with extended handle removed. 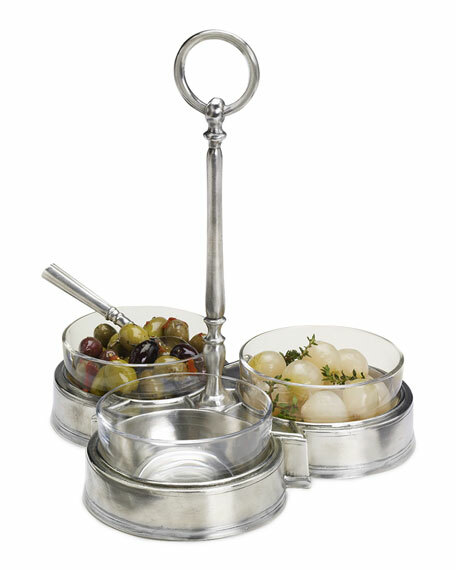 Lead-free pewter stand with three crystal bowls. 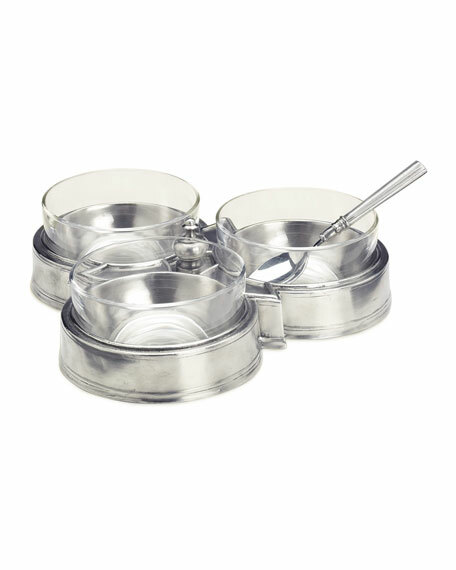 For in-store inquiries, use sku #683452.